Malema, who heads a party called the Economic Freedom Fighters (EFF), was referring to a “white man” named Athol Trollip. Trollip is the mayor of the Nelson Mandela Bay municipality, which the DA won from the ANC in an upset victory in the 2016 municipal elections. Trollip is fluent in Xhosa, one of South Africa’s indigenous African languages. 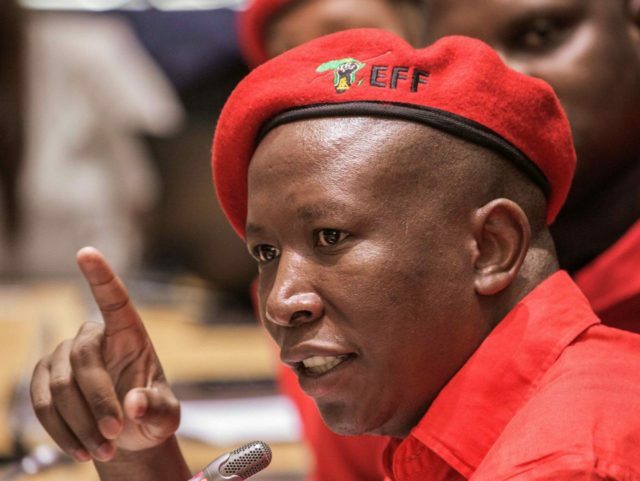 However, Malema’s comments were also construed as a threat to white South Africans in general, in the midst of a racially charged debate about land reform. Last month, the lower chamber of the South African parliament approved a motion by Malema to consider amending that country’s constitution to allow for the expropriation of property without compensation. While not the “race war” that some American observers — including conservative radio host Glenn Beck — have construed, the proposal has sent a frisson of panic through South Africa’s agricultural community, as well as international investors, who fear that South Africa could go down the same disastrous path as Zimbabwe. South Africa’s constitution protects freedom of speech, but explicitly does not protect “advocacy of hatred that is based on race,” due to the brittle nature of race relations in the country’s recent past. The DA condemns in the strongest terms the comments made by EFF Leader, Julius Malema, that “[w]e are going to remove a mayor of PE […] [w]e are going for your white man in PE. We are going to cut the throat” referring to DA Nelson Mandela Bay (NMB) Mayor, Athol Trollip. The DA statement added that the part supports land reform, but not the statist redistribution model favored by the EFF. The DA controls roughly 22% of the seats in the South African parliament; the EFF controls less than 7%. The ruling African National Congress (ANC) controls roughly 62%. The next elections are in 2019.